NOTICE: The AustinWeather Company or AWL Weather Network does NOT provide the video advertising that pops up occasionally. These ads are put in by Ustream and are auto generated. Thank You for your understanding. The AWL Weather Network (AWNHD) is a online TV Station that serves the State of Kansas and other locations as well. Our graphics are powered by our custom NWIDC local weather graphics system. For 24/7/365 weather information, go to our website at www.austinlandweather.com. 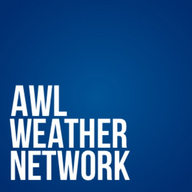 The AWL Weather Network is The Weather Station YOU Can Always Turn To.